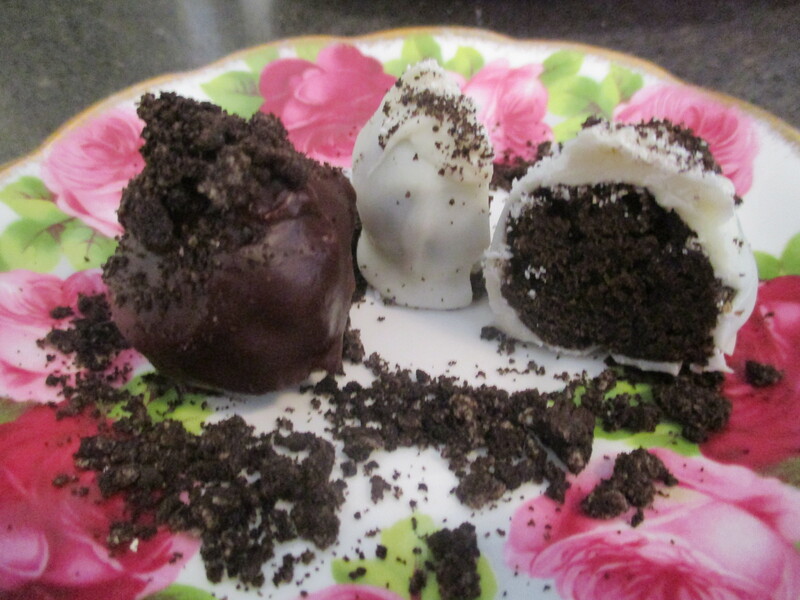 My 6th child, who is now a college freshman, made these lovely cookie truffles for Thanksgiving. She and her little sister, Deeja, made this experiment and it tasted great so I wanted to pass it on to all of you. Put oreos and graham crackers in food processor and blend up into fine crumbs. Add in cream cheese and peanut butter, blend together well. Roll into balls, place on a tray and refrigerate. 1 cup semi sweet chocolate chips with 1/4 cup butter melted until smooth–very rough measurements on this! Dip balls into chocolate and then sprinkle with crumbs. Refrigerate and serve.